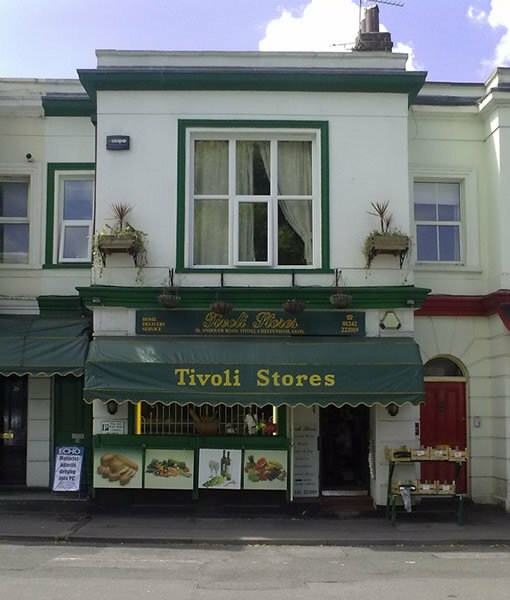 ​Number 3 Tivoli Buildings was first opened as a draper’s and milliner’s shop by Mrs Mary Goodwin, who was here in the 1860s. Mr W. Howell, the dairyman, then took over and it continued as such until 1890. ​Mr Sadler of numbers 1 and 2 Tivoli Buildings jumped at the opportunity to expand his ‘empire’ when Mr Howell moved on and he acquired number 3. From the various advertisements for the shop it seems clear that Mr Sadler offered a wide range of food, household products and wines and spirits over the years he was here. 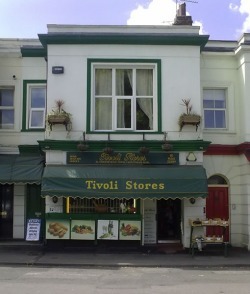 By the 1920s this shop was known as the "Tivoli Supply Stores". ​Mr Sadler died in 1925 and it seems probable that the grocery business was sold soon afterwards. 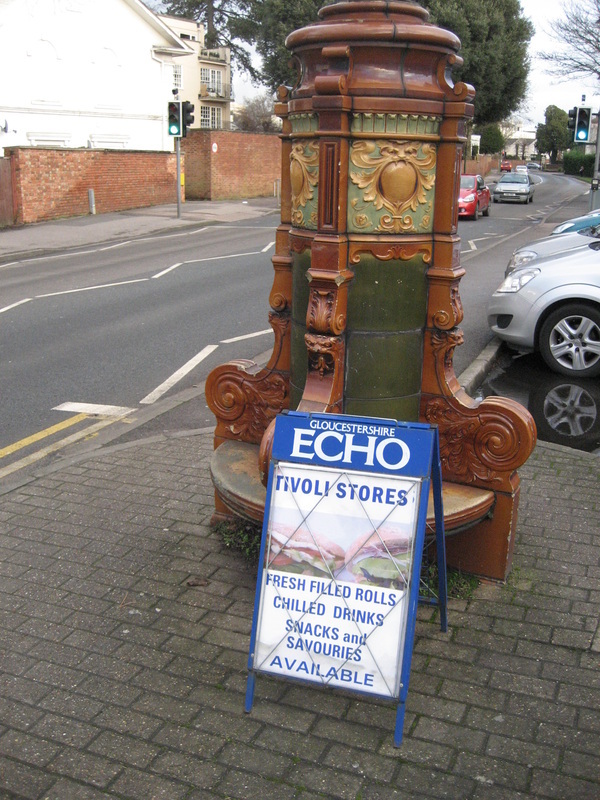 By 1939 the shop was held by ​a grocery called B. Wilding & Co.
Confusingly, in 1940 the company of E.Knight was advertising at 1,2 & 3 Tivoli Buildings as a ploughing and cultivating contractor. They may have occupied offices upstairs, as B. Wilding and Co. seem to have had unbroken occupancy of the shop throughout the war years. In 1943 Mr Bert Wilding, of this address, was fined £2 10 shillings (£2.50) for buying and selling gooseberries at too high a price. During World War II there were very strict regulations in force governing the price of food to prevent profiteering in times of shortage. The court accepted that Mr Wilding had made a genuine mistake and were lenient in the fine. In court Mr Wilding stated that he had been in the grocery business for 50 years. ​After Mr Wilding came a grocers called Silk and Son, which had been trading since 1843 and had shops in the High Street from at least 1875. They were here until 1965, when this property then became part of Bristol Vintner’s Ltd and, later still, Tyler’s Wine Merchant. ​From 1977 it saw a complete change of use – becoming an outlet for Jason Tool Hire which had expanded from next door at number 2. It later developed as a grocery provisions store during the late 1980s and was taken over in 2000 by its present owner Steve Wood. It continues today as a grocery and convenience store, a trade that harks back to the 1890s.